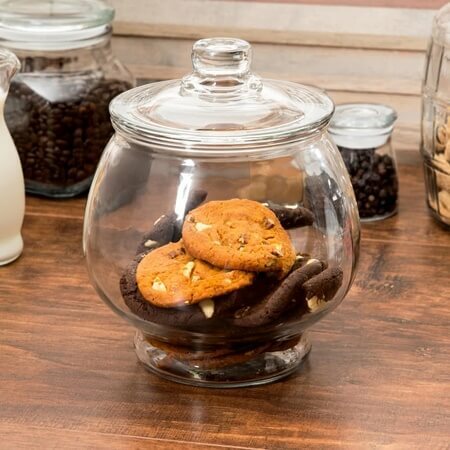 This Half Gallon Cookie Jar with Glass Cover is a beautiful glass jar that can showcase cookies, colorful candies, and dried fruit in your shop. 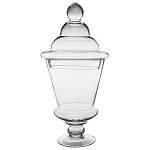 Locate this glass jar on your shelves for bulk items which are kept fresh with the lid firmly in place and allow any shoppers to view the contents with ease. 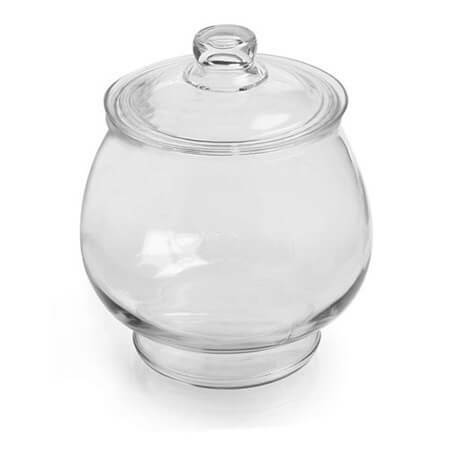 Made with a wide mouth which allows for easy access to any items contained in the cookie jar. 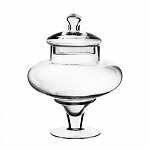 What an outstanding addition to bakeries, cafeterias, and restaurants as well as your kitchen counter for spices and baking goods. Order your half gallon jar today!